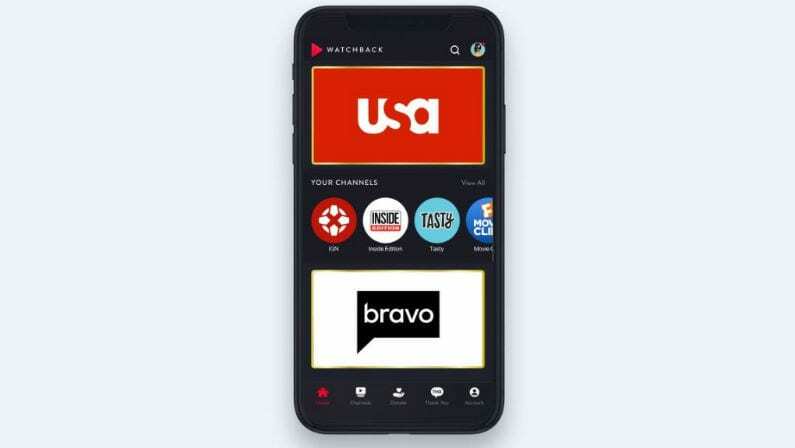 Over the weekend, NBCUniversal gave a “soft launch” for its new free app-based streaming service. NBCUniversal recently unveiled the new streaming app which offers on-demand content from its many partners which include NBC networks, BuzzFeed, CollegeHumor and Refinery29. The app, called WatchBack, is part streaming service, part marketing tool aimed at promoting NBCUniversal content. Already, WatchBack is making waves due to one unique feature: rewarding users who watch content with the chance to win prizes and cash. WatchBack’s rewards feature comes in the form of an in-app tab called “Thank You.” Under the Thank You tab, users can enter weekly sweepstakes for cash and various prizes or even opt to donate their winnings to pre-selected charities. At launch, WatchBack is using the Thank You tab to promote episodes of E! series Ashlee+Evan and Model Squad. Users who watch these episodes can enter to win $100. WatchBack is also somewhat unique for creating a personalized viewing experience for users. Upon download, the app asks users to complete a profile/survey about their viewing preferences and uses users’ answers to promote certain programs or channels and generate themed packages of content related to trending topics or seasonal programming. WatchBack is currently available for download solely through the Apple App Store but is expected to launch on Google Play soon.